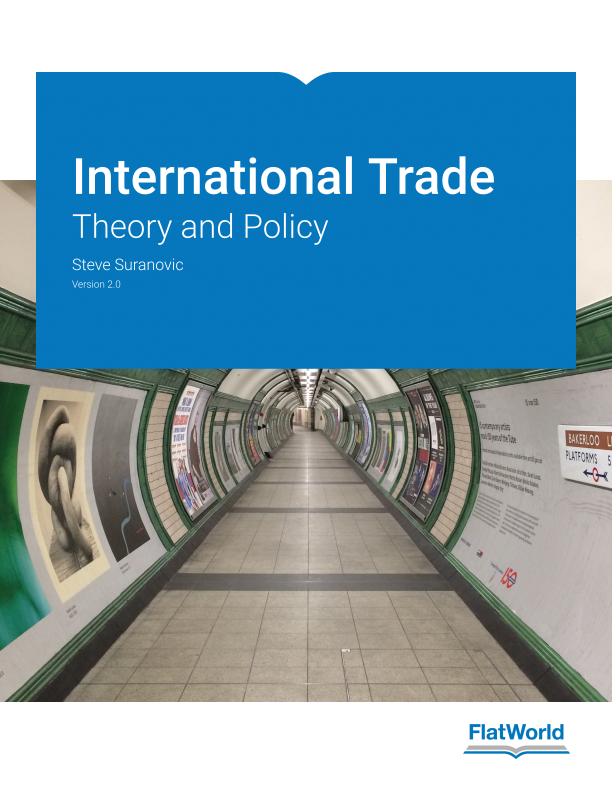 The text begins with an historical overview of trade policy issues to provide context for the theory and concludes with a detailed economic argument supporting free trade. The welfare analysis in the Ricardian, Heckscher-Ohlin and specific factors models emphasize the redistributive effects of free trade by calculating changes in real incomes. A chapter about domestic policies contains an evaluation of domestic taxes and subsidies that are often ignored in traditional trade textbooks but are increasingly important as large countries complain more about each other's domestic agricultural policies and labor and environmental policies. The text uses the theory of the second-best to explain why protection can improve national welfare. This well-known theoretical result is rarely presented as methodically and consistently as it is in this text. WHAT'S NEW IN VERSION 2.O? This latest edition introduces some important NEW content. Chapter 2 introduces trade to students via one of the simplest economic models possible; the pure exchange model. It does so by considering trade between two people rather than two countries in order to demonstrate the mutual benefits that accrue to both traders. The model is presented using an Edgeworth box diagram with heavy emphasis on the assumptions made to assure the favorable results. Chapter 3 of this edition adds an often neglected discussion of the ethical constraints that are implicitly included in any model that includes exchange. Violation of these ethical principles can be considered a pre-market failure since they can cause a failure of the markets to operate. The chapter highlights the institutions that are in place to facilitate adherence to the ethical principles including, most importantly, the establishment and enforcement of property rights. The NEW Chapter 4 presents the theory of comparative advantage using a two-person Edgeworth box model. It is a simple extension of Chapter 2 by introducing production. The chapter introduces all the basic principles including absolute and comparative advantage but emphasizes how profit seeking behavior on the part of the traders will motivate specialization in the comparative advantage good and subsequent trade. In addition, the chapter presents a three-person PPF and uses it to explain the sources of economic growth, one of which is specialization in the comparative advantage goods. One final addition to the latest edition is a new Section 10.3, illustrating the welfare effects of opening to trade as an exporter and importer in a small country setting. This analysis shows why trade is good from an aggregate perspective regardless of whether a country exports or imports.